"…I’m certainly going to continue using Actisaf® and Safmannan® with my calves in the future." 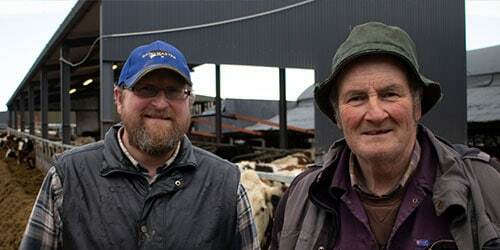 Based in Killylea, County Armagh, Jim farms 80 acres, on which he runs a mixed herd of 40 MRI and Brown Swiss cows. 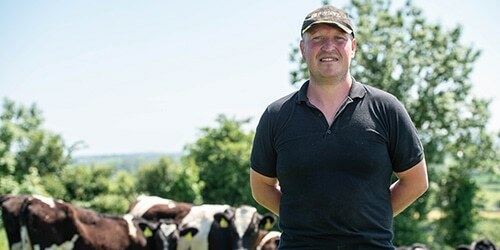 Instead of rearing his own replacement stock, all of his cows are put to an Angus bull, with the resulting calves being reared on and sold as store cattle once they hit a target weight of 450-500kg. 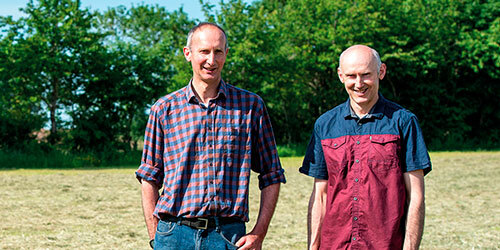 Jim knows that to hit this target weight as quickly as possible it is best to maximise early growth – ideally aiming for target weaning weights of double birth weight within 8 weeks. The combination of Actisaf® and Safmannan® supports high levels of feed intake and rapid growth rates, as well as supporting the immune system in the young calf. 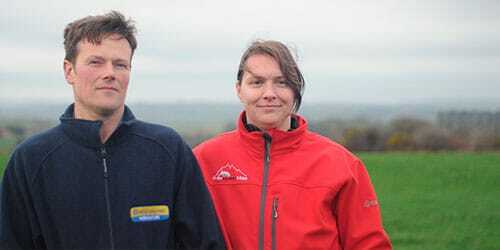 Jim now feeds Actisaf® and Safmannan® as supplements to calves, which he buys as a pre-mixed calf bucket and he adds into milk as soon as they are taken away from the mother.